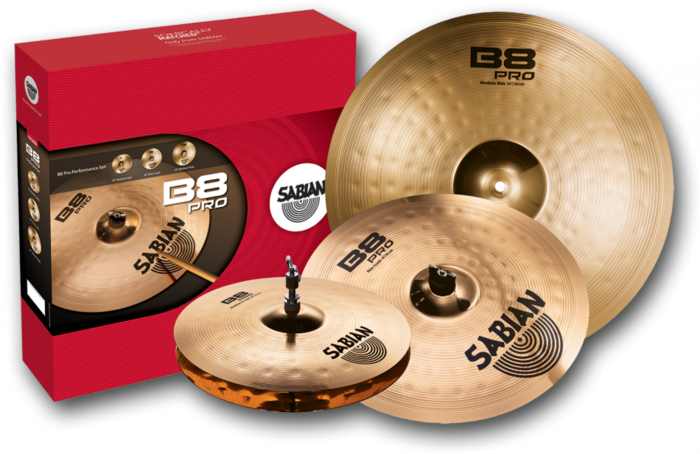 Sonically matched in the SABIAN Vault, the SABIAN B8 Pro Performance Set includes 14" B8 Pro Medium Hi-Hats, 16" B8 Pro Medium Crash, and a 20" B8 Pro Medium Ride. If speed, power and aggression describe the way you play, B8 Pro may be the cymbal series for you. With new larger hammering pattern and improved bell design, B8 Pro rocks harder than ever. Designed and crafted by the SABIAN Vault team for players moving up in the world of quality Bronze cymbals, B8 Pro delivers way more for less.